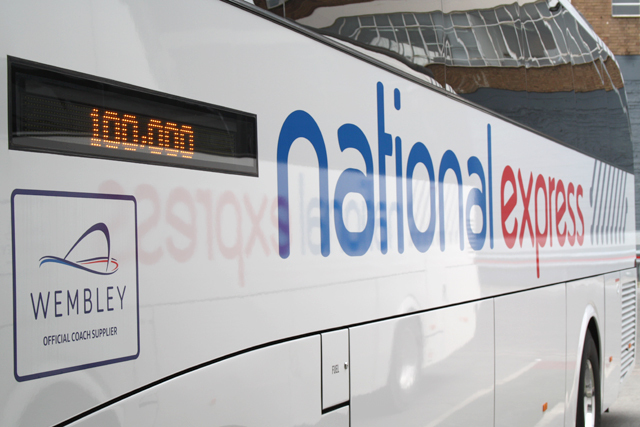 National Express, the UK's largest coach operator, has racked up more than 100,000 Facebook likes, making it the first public passenger transport company to do so. The page currently has 116,000 likes and National Express hopes to use this fanbase to spread the word about its special offers and charitable initiatives, which includes the children’s cancer charity Help Harry Help Others. National Express hired its first dedicated content manager in May 2012. Before then, like many brands, the company had no dedicated or consistent social media initiatives. But having woken up to the need to have someone dedicated and in-house to co-ordinate its social media, it has attracted a growing following across different networks. Since joining, Sally Hawkesford, National Express' content manager, has helped to grow the brand's Facebook following from 23,000 likes in May 2012, and has increased the coach operator’s Twitter followers from 4,000 to over 21,000. Hawesford has experimented with various social media tactics and tested different approaches on Twitter and Facebook. She said: "Before we used to put the same content up on Facebook and Twitter", but says that since seeing the need to treat Facebook and Twitter followers separately, "we now put up engaging content that is relevant to the community." Hawkesford also attributes National Express’s social media success to three campaigns it ran last year for its summer, airport and young people activities, as well as the use of sponsored stories on Facebook at Easter. National Express plans for its future social media use to include not only firming up the channels they already have, but also to branch out onto Instagram and Pinterest.